President Muhammadu Buhari has said that if he loses the 2019 presidential election, it wouldn’ t be the first time he would be experiencing it . 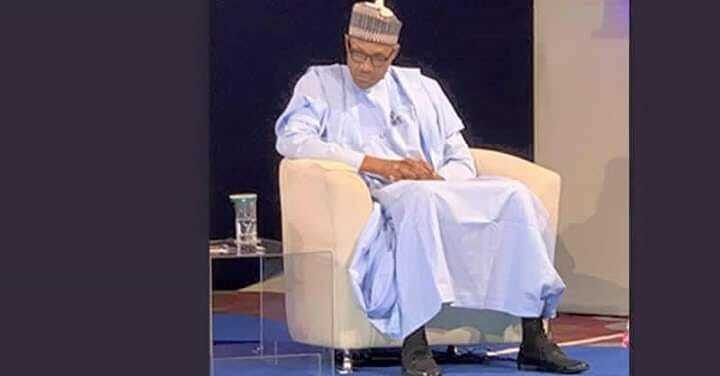 Buhari responded to a question by Kadaria Ahmed , the moderator of The Candidates, a live presidential Town Hall Meeting for the 2019 presidential candidates and their deputies. Hashtagged # NGTheCandidates, the event took place in Abuja on Wednesday. It may be recalled that Buhari first ran for the presidency in 2003 on the platform of the now defunct All Peoples Party . He garnered 12 . 7 million votes in the election, losing to President Olusegun Obasanjo who was then seeking a second term. In 2007 , Buhari , he contested on the platform of the All Nigeria Peoples Party , running against Peoples Democratic Party candidate , Umar Yar ’ Adua , who won the election. That year , he garnered 6 .6 million votes , compared to Yar’ Adua ’ s votes that nearly tripled his . In 2011 , then presidential aspirant Buhari contested on the platform of the Congress for Progressive Change , which he helped to found , and ran against then incumbent President Goodluck Jonathan. He got 12 .2 million votes , compared to GEJ’ s that nearly doubled his . Again, he lost . His breakthrough came in 2015 when he ran on the platform of then two - year - old All Progressives Congress . He won. Buhari is seeking re - election on the platform of his ruling party .